Electrical discharges in evacuated glass vessels caused by static electricity generated by a glass globe electrical machine. 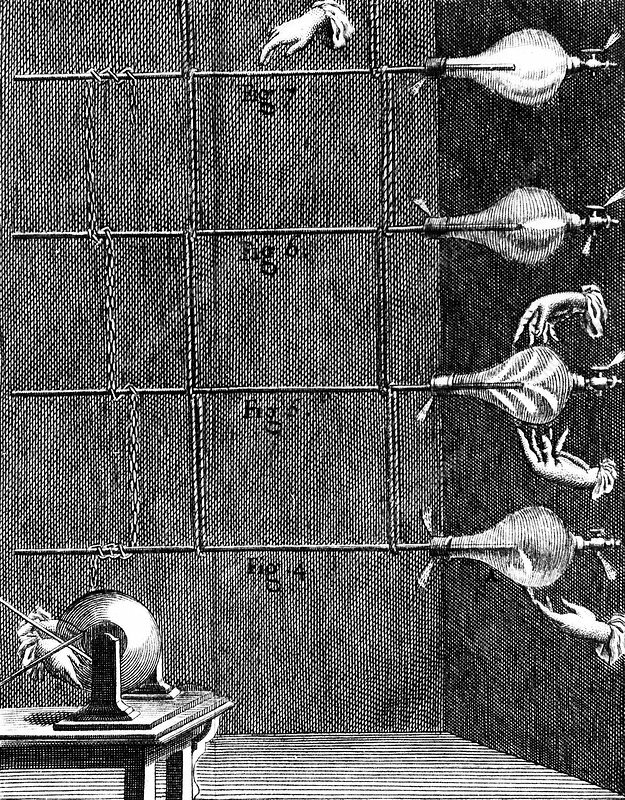 From Recherches sur les Causes Particulaires des Phenomenes Electriques by Abbe Nollet (Paris, 1753). Engraving.